(Brian) Lidge was one strike from saving a 2-1 win for Roy Oswalt when he balked with the bases loaded, bringing in Jerry Hairston Jr. with the tying run. Facing Chase Headley, Lidge started his motion and then stopped as he appeared to glance at Hairston at third. He said he was moving the ball into his glove to get his grip when the ball hit his glove and started coming out. He looked down while his momentum was taking him forward. Pinch-hitter Matt Stairs, who was with the Phillies the last two seasons, led off the ninth with a single. Hairston pinch ran and was sacrificed to second by David Eckstein. Miguel Tejada grounded out, Adrian Gonzalez was intentionally walked and Lidge hit Ryan Ludwick in the right hand with a pitch to load the bases and bring up Headley, who after the balk grounded out to end the inning. It was Lidge’s fifth blown save in 22 chances. Honestly with the bases loaded, two out in the ninth, the only thing the pitcher should be focused on is the batter at the plate. Not the baserunners. This is strange. For the second straight day, a member of a Star Tournament team that I came in 2nd with in 2001, has retired. First Nomar Garciaparra, now Giles. Giles was also a member of a winning tournament team of mine. Actually his two-run 8th inning triple won me Game 7 in that event. Star Tournament sentimentality aside, Giles was a very good left fielder for over a decade. Just under 1,900 career hits and 300 homeruns. Good luck in retirement Brian. The battle for the Dodgers’ left-handed pinch-hitting spot was reduced to two players on Thursday after non-roster outfielder Brian Giles, a 15-year veteran and two-time All-Star, retired from baseball. Giles was with the Padres last season but has not played since June 18. He came to Dodgers camp with doubts as to how the knee would respond, and said the day he reported he would know what he was capable of fairly quickly. Giles appeared in two Cactus League games for Los Angeles this spring, both as a designated hitter, going 0-for-4 with a walk. After grounding into a force play in the sixth inning Wednesday against Arizona, Giles was lifted for a pinch hitter and jogged off the field, apparently his final act as a major league player. Giles, a two-time All-Star, is a career .291 hitter with 287 home runs and 1,078 RBI in 1,847 games. Willie Davis was an excellent defensive center fielder and a very good player overall but this was obscured by a variety of reasons. That Davis made his living trying to hit in Dodger’s Stadium, one of the toughest hitter’s parks in baseball during his time. Davis still amassed very good numbers. 2561 career hits, .279 career batting average, and more. I grew up watching and remember Davis very well. Thanks for the memories Willie and RIP. Known as “Three Dog” for his ability to often hit triples and because he wore number three on his uniform for most of his career, Davis played on the Dodgers’ World Series championship teams in 1963 and 1965. Davis set a Dodgers team record in 1969 with a 31-game hitting streak and remains the franchise’s all-time leader in hits, extra-base hits, at-bats, runs, triples and total bases. “He was beloved by generations of Dodger fans and remains one of the most talented players ever to wear the Dodger uniform,” Dodgers owner Frank McCourt said in a statement. Davis was found dead in his California home on Tuesday by a neighbor who often brought him breakfast, Burbank police told Reuters. There were no signs of foul play and police said they expect Davis died of natural causes. 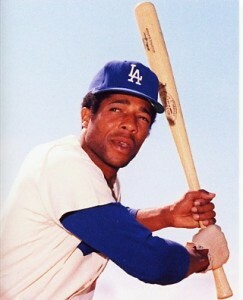 Davis spent his first 14 seasons with Los Angeles from 1960 to 1973 before going on to play for Montreal, Texas, St. Louis, San Diego and California. During his career, Davis won three Gold Glove Awards, led the league in triples twice, and stole 20 or more bases in 11 consecutive years. 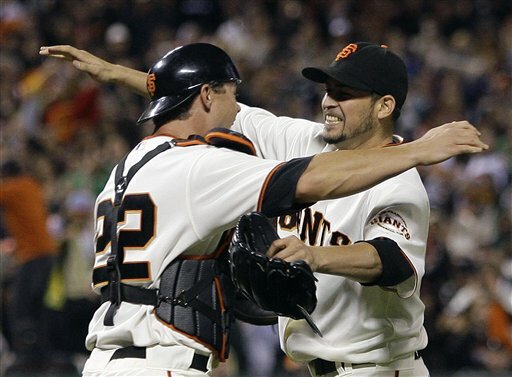 Mark Loretta has announced his retirement as a player and has been hired by the San Diego Padres as special assistant to baseball operations. Loretta’s playing career spanned 15 big league seasons. He played with the Padres from 2003-05. 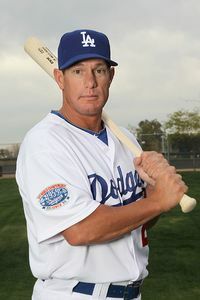 Loretta most recently was with the Los Angeles Dodgers. A two-time All-Star, Loretta finished his career with a .295 batting average with a .360 on-base percentage. His best season came in 2004 for the Padres when he set career highs in batting average (.335), homers (16) and RBIs (76). Loretta originally came up with Milwaukee. He was a good player, more valuable with the bat than with the glove. Last year he had a very poor year by his standards, so it was probably a good time for him to retire. The Colorado Rockies and catcher Miguel Olivo agreed to a $2.5 million, one-year contract Monday that includes a club option for 2011. Olivo will share catching duties with Chris Iannetta. Free agent Yorvit Torrealba wanted to return to the Rockies but the sides couldn’t reach a deal this offseason. Olivo hit .249 with 23 home runs and 65 RBIs in 114 games for the Kansas City Royals last season, when he served as AL Cy Young Award winner Zack Greinke’s catcher for 31 of his 33 starts. He threw out 18 of 74 base stealers, a 24.3 percent mark that ranked third in the AL. In the midst of a disappointing season, the Chicago Cubs started a game like no team has in almost two decades. Aramis Ramirez, Geovany Soto and Kosuke Fukudome had two-run hits in a record-tying first inning and the Cubs handed the hapless Pittsburgh Pirates their 11th loss in 12 games, 9-4 on Tuesday night. The Cubs tied the major league record with eight hits to start the game against the Pirates on Tuesday. They’ve done it before. Chicago tied a major league record with eight consecutive hits to start the game. The most recent team to do that was the New York Yankees, on Sept. 25, 1990 against the Baltimore Orioles. With yesterday’s win, the Cubs improved their record to 70-67. They are out of the playoff picture which means it will be at least 65 years between World Series appearances for the franchise. Gary Sheffield crossed home plate and thrust his arms in the air after unleashing his 500th homer with another vicious swing, and then the surly slugger was humbled by the site of his new Mets teammates pouring out of the dugout. Sheffield was greeted with hugs and high fives after becoming the 25th player to reach the milestone with a tying homer in the seventh inning Friday. The party switched focus in the bottom of the ninth when Luis Castillo hit a two-out, run-scoring single to give the Mets a 5-4 victory over the Milwaukee Brewers. Last night’s homer came against the franchise Sheffield started his career with. He was drafted by Milwaukee in 1986. Should Sheffield be elected to the Baseball Hall of Fame one day? Besides his home runs, he has a career .292 batting average but more impressively a .394 career on base percentage. There is no question, Sheffield has been an offensive machine for two decades. The case against his induction is fairly strong. Sheffield has been a defensive liability his entire career, has had behavioral and discipline problems on and off the field, and as a result traveled extensively. Not too many HOFers have played for eight teams in their career. Sheffield was not named in the Mitchell report, but in his testimony before a grand jury in the BALCO case in 2003, he acknowledged using “the cream” and “the clear,” but said he didn’t know they were steroids at the time. Still, that admission raises questions about steroid use even though he has never tested positive for performance-enhancing drugs. From 1988-98, he had two 30-homer, 100-RBI seasons. From 1999-on, which appears to be the height of the steroid era, he had seven straight years of 25 homers, and six of his eight 100-RBI seasons. Sheffield’s case is a tricky one. He has always played hard, he has often helped his team win, and he has been a middle-of-the-order hitter in the postseason with three different organizations, including a world championship team (the 1997 Marlins). He is not DiMaggio, obviously. He is not Schmidt, Griffey or Yastrzemski. Despite having similar numbers, he is not even close to being Frank Robinson, all things considered. The marks against him are noticeable and troublesome, but his numbers — especially 500 home runs — are very impressive. His case is debatable, but I believe he’s a Hall of Famer. His drug use is another factor to weigh for Sheffield. Should all players caught up in that scandal be excluded from the HOF? I don’t have a vote on who goes to Cooperstown, if I did, I don’t know if I would vote for Sheffield.